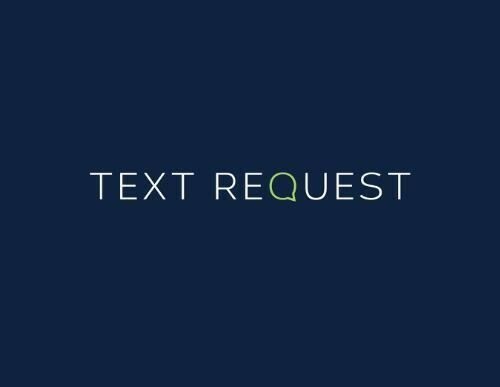 Text Request, a newly launched text communications company based in Chattanooga, Tenn., is making it easier for the public to communicate with their favorite organizations. Text Request enables individuals to text their favorite organizations the same way they text friends and family. The company is fulfilling its mission of “connecting organizations with their customers through personal texts” by allowing the public to use standard text messaging to share and receive information from schools, local businesses, places of worship, and more. A Pew Research study cites that 33 percent of Americans prefer texting over all other forms of communication. This data suggests the trend will increase as text messaging continues to take over a larger percentage of everyday communication. Text Request can be implemented anywhere from schools to hearing- and speech-impaired institutions, to colleges, churches and other nonprofits to effectively open personable lines of communication with students, parents and members. Organizations using the service find that phone lines are more open and incoming inquiries are handled much more efficiently. For example, parents inquiring about school events simply text a designated number to request the information instead of making a time-consuming and inefficient phone call. The company has already helped several organizations to communicate more easily and effectively with their base. St. Nicholas School in Chattanooga is one of the organizations using Text Request. Chattanooga’s Christ United Methodist Church is another nonprofit using Text Request to stay in better communication with its congregation. Christ United Methodist parishioners use Text Request to ask questions about what is going on in the life of the church, to send in a prayer request or notify other church leadership about hospitalizations. There are no apps to download. Consumers simply text a standard phone number unique to each organization. Organizations can even respond in real-time to messages received through the Text Request platform. Text Request is not a mass texting or SMS marketing tool and users will never receive unsolicited messages from Text Request nor the businesses they choose to communicate with. Additionally, other than standard text messaging rates from their cell phone provider, Text Request is completely free to consumers. The company rolled out a beta launch in the summer of 2014 to a diverse set of initial customers within a variety of consumer segments, including hospitality, education, ministry and food service. These beta test users and others have encouraged their customers to contact them through the Text Request platform and have reported significant growth and satisfaction since implementation. Those interested in learning more can visit textrequest.com to see how it works for free. Scalable pricing plans are available to meet every size business. Allow God to direct all business efforts; how can you go wrong?